Looking at the kind of fan following Blockchain can gather, innumerable organizations and companies across the globe are switching on to the Blockchain Platform. One such renowned multinational financial company MasterCard that announced its first-ever Blockchain API in October 2017 has now filed another patent. According to the patent filed by MasterCard, it refers to a system that can fasten up new node activation. This Blockchain patent has been filed by the U.S. Patent and Trademark Office (USPTO). Any computer that is connected to the blockchain network and stores a copy of it. These computers are called nodes and require individual verification of enormous data to get activated. What MasterCard Came up with the Patent? Every blockchain node is required to verify a vast number of data records in different blocks. This entire process gets slow over the period, posing difficulties in adding new nodes. MasterCard came up with its first patent in the year 2016 that summarized the problems faced while creating new nodes. At the time it was proposed in 2016, the patent had the title “METHOD AND SYSTEM FOR FAST TRACKING NAVIGATION OF BLOCKCHAINS VIA DATA MANIPULATION,” and now has finally been published on 26th April 2018 by USPTO. As per the new patent, each new node should verify “thousands, millions, or even billions of transaction records […] in a vast number of different blocks”, and hence adding new nodes is a time-consuming process. “The verification of such a large number of blocks may take a significant amount of time, during which new blocks may be added to the blockchain, further delaying the ability for the new node to participate. 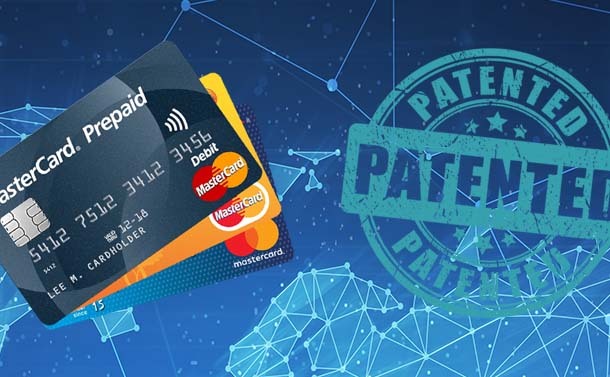 The latest patent by MasterCard has now proposed a solution to this problem that will be able to fasten the time taken in downloading blockchain. MasterCard has now proposed to include “fast track flags” in the block headers. These “Fast track flags” will help nodes to examine and authenticate blockchain at a faster speed. To make the entire system even more effective, MasterCard has also proposed a software meant to do all the hashing, queuing, and other operations. Till date, MasterCard has filed almost 30 patents that are related to the blockchain technology. Some of them are the patents regarding the MasterCard Blockchain API, tamper-proof distributed storage to fight identity fraud. Overall, amongst the innovators in blockchain technology, MasterCard stands high.